Size: approx. 5 mm. Photo: 04/25/12, 11 pm. One of the few midges with ID. May I introduce to you Mr. Chaoborus albatus? One handsome devil from head to toe. Citing from bug guide: "A small species with spotted wings and legs unmarked except for faint brownish bands at joints." The species C. punctipennis is rather similar, but has more more wing spots and the tibiae and femora are scattered with small black dots. 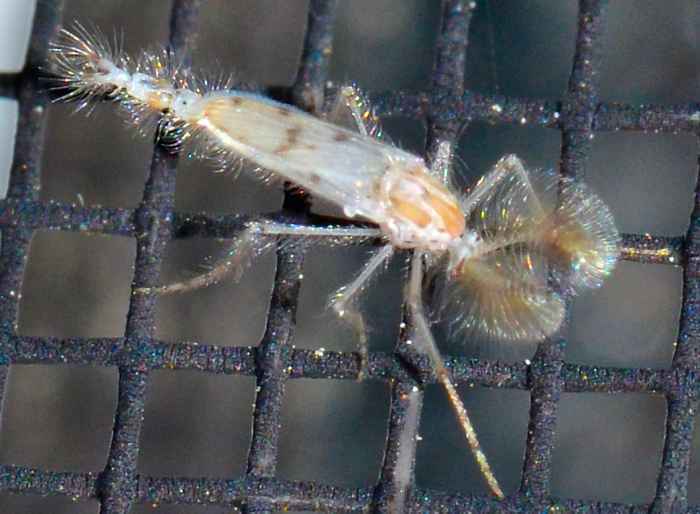 A little phantom midge with several dark spots on its wings, legs, and also between the stripes on top of the thorax. Its larvae are aquatic and eat zooplankton, whereas the adults do not feed. 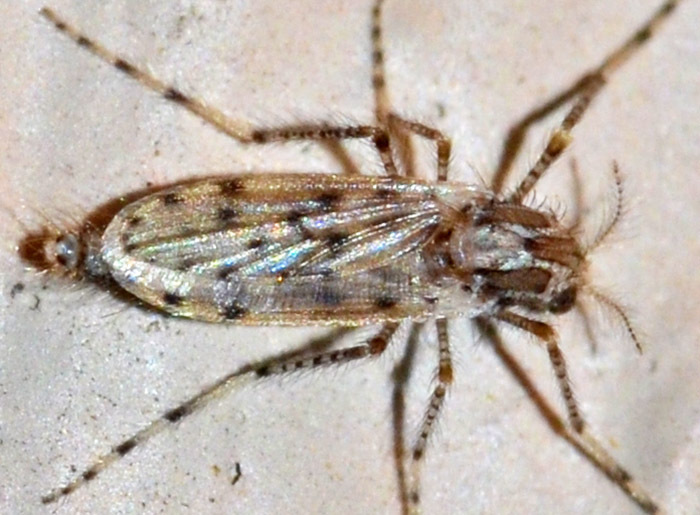 This is the smallest and most widespread Chaoborus species in North America. The second link contains lots of additional information.